Watermelon just screams summer to me! It’s the perfect summer fruit. Not only does it hit the spot on a hot day, but it’s one of the prettiest fruits out there! 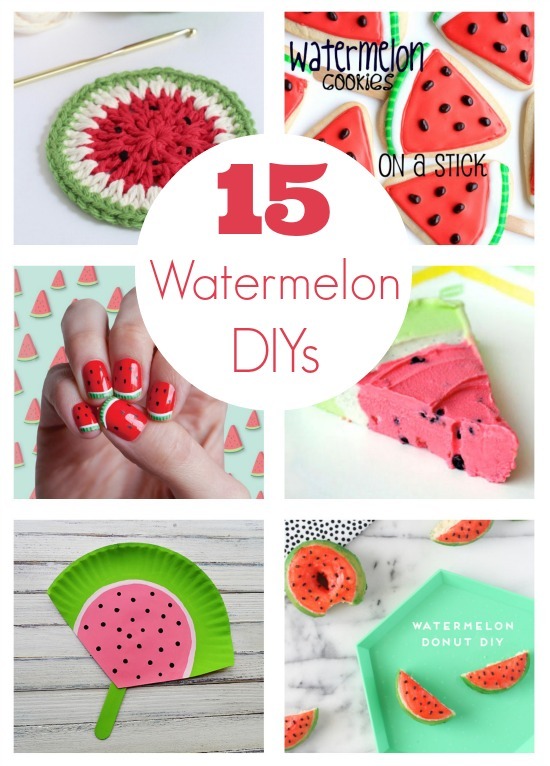 There have been a lot of cute watermelon crafts and recipes circling the web these days. I searched around and found 15 super awesome watermelon DIY projects to make for National Watermelon Day! So when August 3rd rolls around, you’ll have plenty of ways to help celebrate. 1. 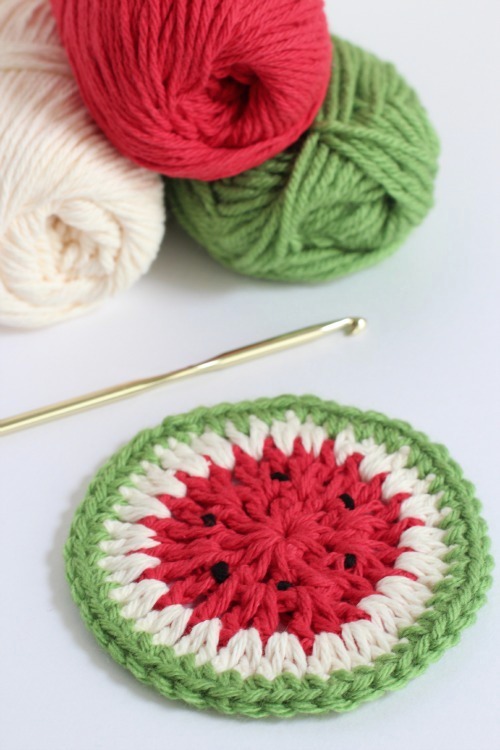 Crochet Watermelon Coasters for Summer Sippin’: Rest a glass of lemonade on these adorable DIY crochet watermelon coasters. Easy to crochet and adorable. 2. 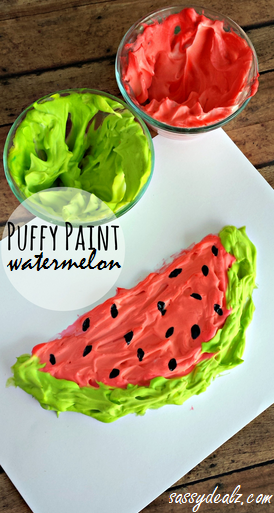 Puffy Paint Watermelon Craft: This kid’s craft from Crafty Morning is really fun and easy to make. 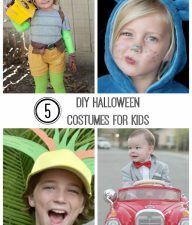 Your kiddos will love it. 3. 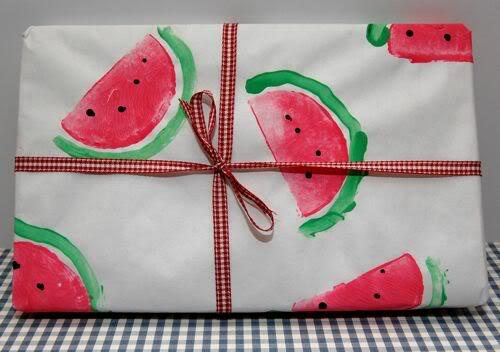 Watermelon Wrapping Paper: Dress up some wrapping paper with these cute watermelon stamps from Inner Child Fun. 4. 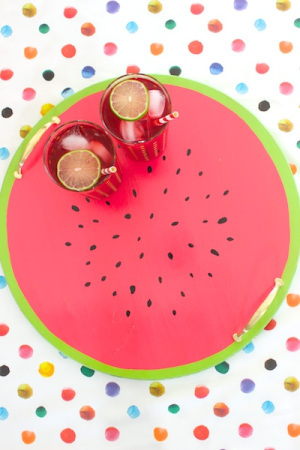 DIY Watermelon Serving Tray: Craft this amazing watermelon serving tray to help you entertain guests all summer long. 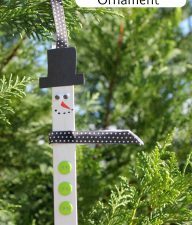 Get the tutorial over on Oh So Beautiful Paper. 5. 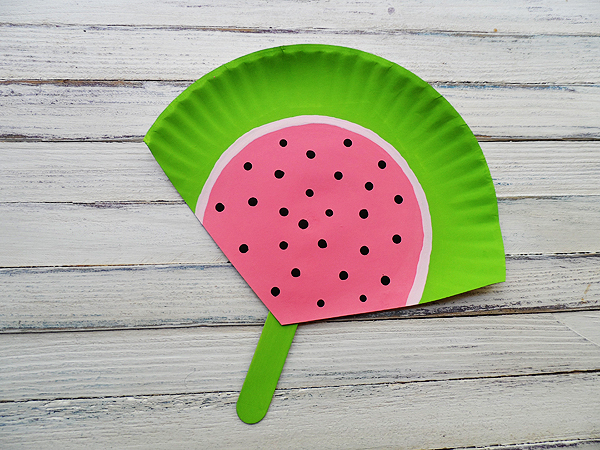 Watermelon Fan Craft: Stay cool outside with this cute and crafty watermelon fan. 6. 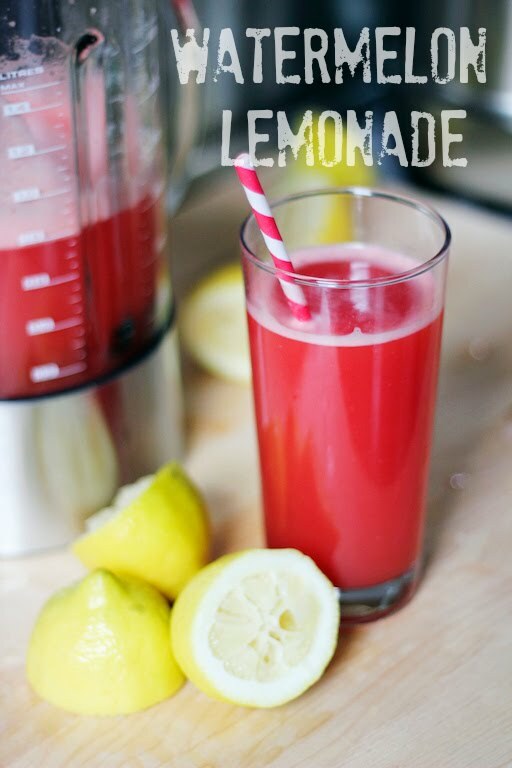 Watermelon Lemonade: Cool off with a tall glass of this refreshing watermelon lemonade. Find the recipe from Love Taza. 7. 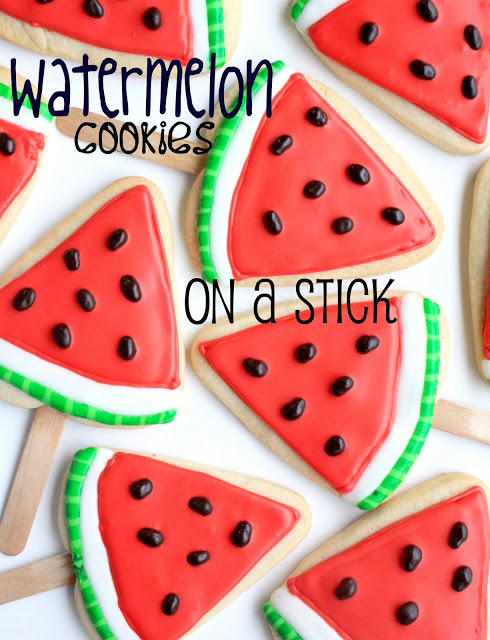 Watermelon Cookies on a Stick: Decorate these sugar cookies to look like delicious slices of watermelon! Get the instructions over on Munchkin Munchies. 8. 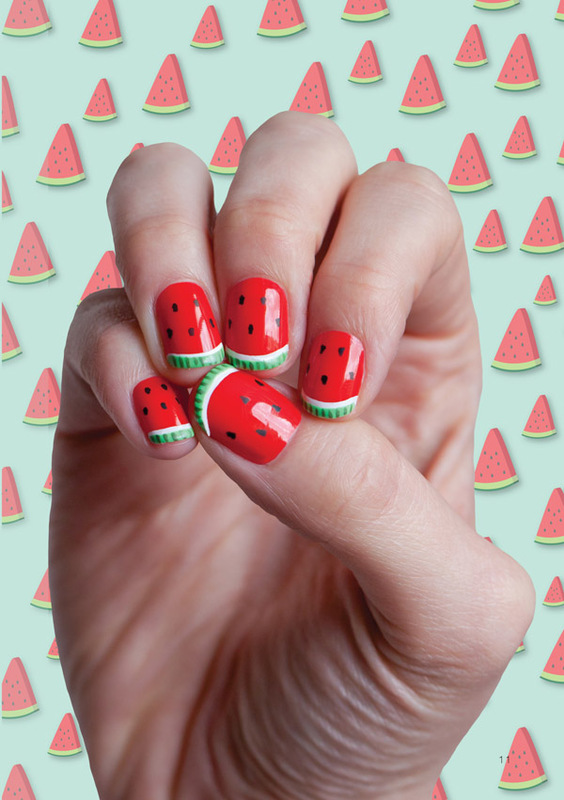 Watermelon Nail Art: Give yourself a fun manicure with this pretty watermelon nail art from The Design Files. So cute. 9. 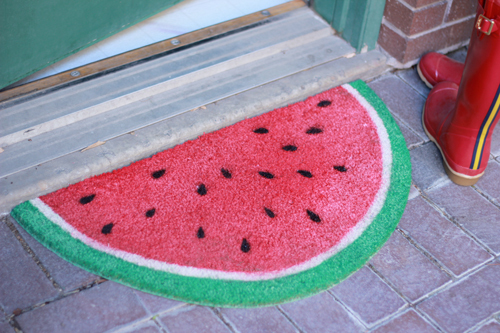 DIY Watermelon Welcome Mat: Brighten up your doorstep with this juicy watermelon welcome mat from The House That Lars Built. The perfect summer start to your home. 10. 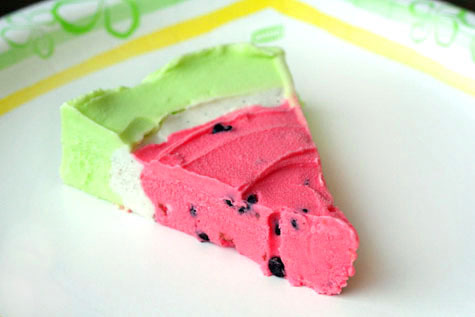 Watermelon Pie: Make this watermelon sherbet pie for a fun summer dessert. 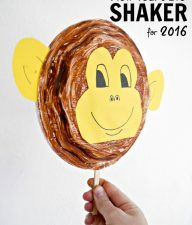 It will cool you down on a hot summer day. 11. 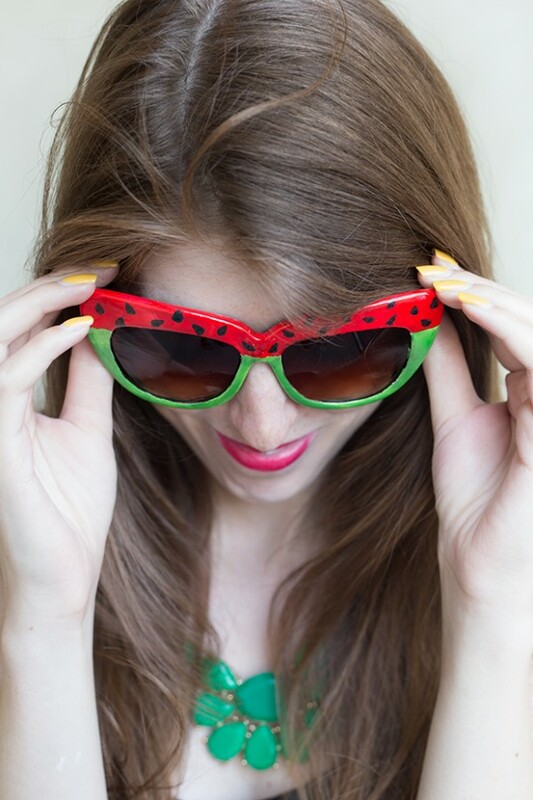 DIY Watermelon Sunglasses: Craft these watermelon sunglasses with some nail polish and wear them around town this summer. 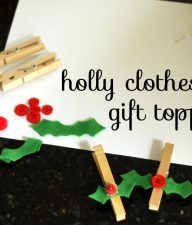 Find the tutorial over on Studio DIY. 12. 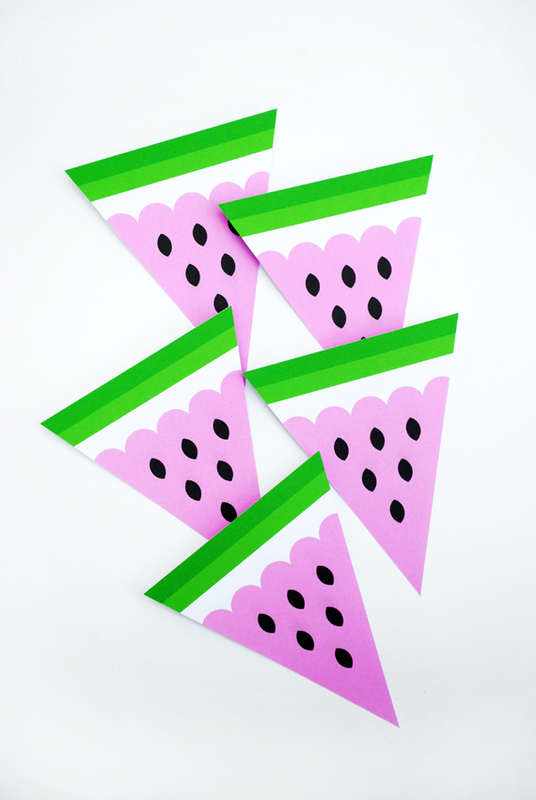 Watermelon Bunting: Use this gorgeous watermelon bunting from Minieco for summer party decor. The colors are so bright and fun. 13. Watermelon Piñata: How cute is this piñata shaped like a watermelon? Learn how to make it from Kitiya Plasmas. 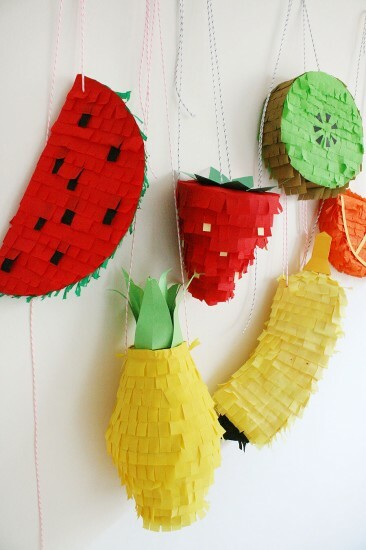 Make a whole group of fruit. 14. 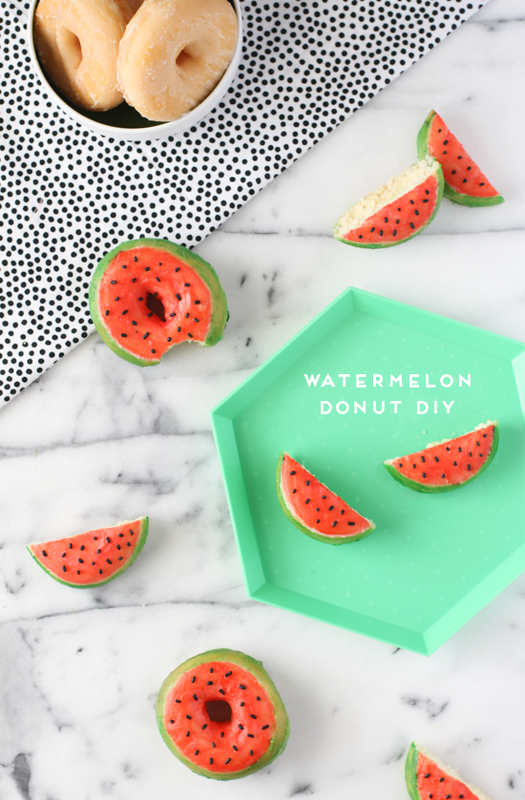 DIY Watermelon Donuts: Bake up some of these yummy donuts disguised as little watermelons from Paper & Stitch. Yes, please! 15. 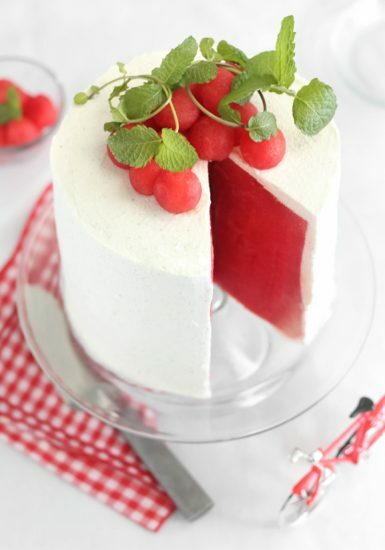 Fresh Watermelon Cake: I’ve always wanted to make one of these fresh watermelon cakes for a party. I’m definitely going to try this recipe from Sprinkle Bakes. Healthy and delicious.